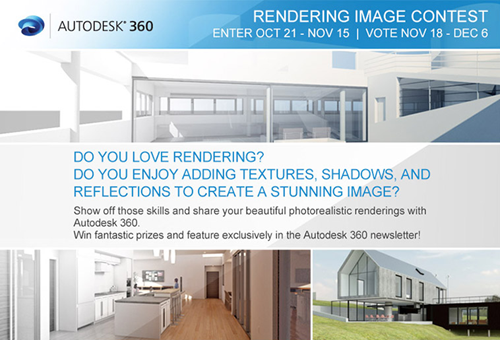 Have you used Autodesk 360 rendering? If you have and you are a fan, you might be interested to join this contest. If you haven’t heard about it, it’s a cloud service for rendering. You can render many images at once, in much less time than just using your workstation. 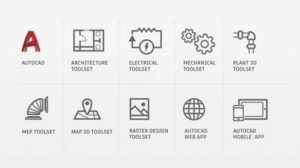 Unfortunately right now only support AutoCAD, Revit and Fusion 360. Oh, you must a US or Canada resident and at least 18 years old. Autodesk 360 rendering is not free. You need to purchase cloud credits or use your subscription cloud credits. The good news is, Autodesk offers free 25 cloud credit for new users who register. That would be enough to join this contest. If you are interested to check what the prizes are and want to join the contest, go to the contest page here: Autodesk 360 Rendering Image Contest. You have time until 15 November to submit your entry. Good luck for all of you who are participating!